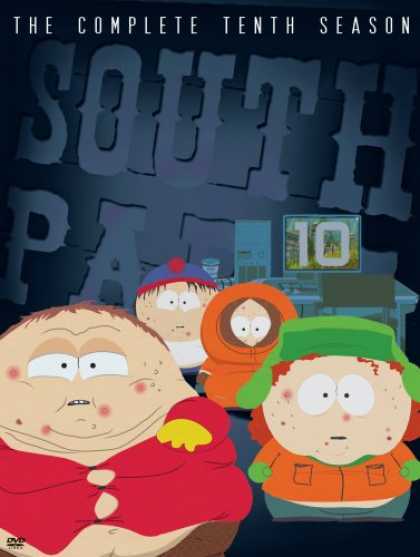 Just planned to do a review of this season of South Park, an animated series created for adult audiences. This season contains 14 episodes and I fortunately managed to grab a coppy for £4.99 at Tesco. I shall do a detailed review of each episodes, give it a rating and then give the season an overall score. If this turns out to be well-enjoyed by the very few who visit my blog, I shall continue to post more reviews for South Park and other films/TV shows. 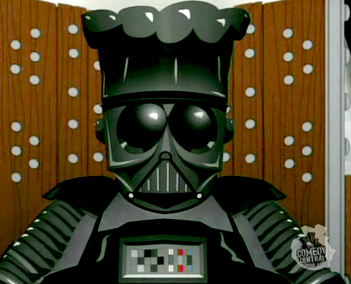 South Park - Episode #01 - "The Return of Chef"
Chef, a beefy African American who used to work as the chef for South Park Elementary, had left South Park in search of "adventure". He therefore ended up joining a group called the Super Adventure Club. And now in this episode, he has returned to South Park. The boys learn that in fact, this group explores the entire world...seems reasonable, right? What if I said that these bastards explore the world MOLESTING CHILDREN!!? Exactly, so Chef has been brainwashed by these bastards (who sound like British guys, are the creators implying British people such as me are molesters!? ), and he returns to South Park. He starts singing all these disturbing songs about wanting to make love with the children in South Park. So the brave three, along with the fatass, go to get some answers from SAC. I personally found this episode to be a smashing way to start off the new season. It's a great episode and contains plenty of laughs. It's very satisfying and the whole idea of molesting kids seems so stupid (and thats a good thing!!) so on the whole, the episode is great. However, the episode had a crappy ending and a good ending. In other words, something crappy happened but they finished it off with an amusing style. They did something I can't really forgive them for but there was a cliffhanger so lets just hope that not everything is lost. South Park - Episode #02 - "Smug Alert!" Kyle's dad, Gerald Broflovski (the Jew) is getting all smug about his new Hybrid. He feels really big-headed about himself because he his contributing towards the reduction of pollution. In result, his friends are also asked to drive Hybrids by Gerald but they refuse to drive Hybrids and Stan's dad insults him that he is such an "I-love-the-environment"-alist, that he loves to smell his own farts. When Kyle finds out, he is deeply sad since he would have to leave his town and friends. His mates (apart from Cartman, since he is an anti-Jew guy) feel sad too. Gerald gets all moody and plans to leave the town and go to San Francisco where people actually respect others and drive Hybrids to keep the world clean. Gerald does move and adapts to the San Francisco lifestyle. They are so concerned about the safety of the environment that the guys in SA actually smell their farts!! It's more like SNORTING their farts cause they do it with such a force. I personally didn't enjoy this episode that much. It lacked humour. The fart snorting was disgusting after a while and the main story wasn't anything special. However, an eco warrior would've awarded this episode for creativity and also for awaring the viewers about the environment except in a different style. Best that you just skip this episode. Call of Duty Modern Warfare 2 is out!